Breaking down Breaking Bad's insta-classic "green beans scene." At TV Geek Army, we typically like to review and recap episodes of shows. Occasionally we'll bite off bigger chunks and look at whole seasons and even entire series. Today I'm going to change things up a little bit and narrow my focus to a single scene. By no means do I mean to give short shift to "Buyout" as a whole -- it was a stellar episode from start to finish. I decided to zoom in on this particular scene simply because it stands out as quite possibly the greatest scene Breaking Bad has ever accomplished. Of course you know what scene I'm talking about: the instantly infamous green beans scene. For our purposes, let's say the scene begins the moment that Skyler (Anna Gunn) steps through the front door to find Walt (Bryan Cranston) and Jesse (Aaron Paul) powwowing in the living room. Let's start the clock! 00:01 Jesse's reaction when he sees Skyler walk through the door with the Albertson's bag in her hand is classic. "Good to s-s-see you. You have a lovely home." 00:18 Skyler's reaction to finding Jesse in her home is equally great. I have always had issues with Skyler as a character and Gunn as an actress, but she's absolutely brilliant in this scene. She portrays the perfect combination of shock, terror, anger, and after taking a couple of beats to process the situation and compose herself, bitter acceptance. 00:35 After Walt invites Jesse to stay for dinner and Skyler reluctantly agrees, the camera closes in on Jesse's face. The expression he makes is a bit difficult to read. I detected some shame, probably because he realizes he is stuck in the middle of a twisted power game between Walt and Skyler. Yet Walt has always been a father figure to Jesse and this might the one and only chance for a family dinner with him, so he sticks around. 00:56 The silence at the dinner table is killing Jesse. Last week, Erik Adams at the AVClub wrote an article about "the telling silences of Breaking Bad" in which he argues that the moments on the show when no one speaks are as powerful as the big pieces of dialog. This scene is more evidence of just that. To break the mind-numbing quiet, Jesse starts babbling and the process makes this the laugh out loud funniest scene of the season, if not the series. He compliments Skyler on the green beans; he loves the slivered almonds and the lemon juice. 01:10 "They're from the deli at Albertson's." You better believe Albertson's Deli Green Beans is going to be the name of my fantasy football team this season. 01:21 "Good work on your shopping then, 'cuz these are choice." Way to go, Jesse! I've been trying (unsuccessfully) to bring the word "choice" back for years. 01:44 "I eat a lot of frozen stuff. It's usually pretty bad. The pictures are always so awesome. Ya know? It's like, hell yeah I'm stoked for this lasagna! Then you nuke it and the cheese gets all scabby on the top. It's like your eating a scab. Seriously, what's that about? What ever happened to truth in advertising? You know?" Yes, Jesse, I know. As a connoisseur of frozen cuisine, I know all too well. I love the way Jesse takes a sip of water after his big frozen food speech when no one chimes in. Ditto for the way Skyler almost pukes in her wine glass when Jesse mentions scabs twice in a row. 02:27 "He says you got it running like a machine. Like well oiled." Jesse is like the friend who sets two other friends up on a blind date, only to have the two friends hate each other. 03:13 "Did you also tell him about my affair?" Another classic awkward water sip from Jesse. 03:52 "You know my kids are gone?" "Thank god!" My sides were hurting after that one. Jesse's "Thank god!" was the most natural reaction in the history of television. Bravo. 04:13 "She told me she was counting the days until my cancer came back. My wife is wating for me to die." Walt isn't the type to sit around and wait. This situation with Skyler is untenable. 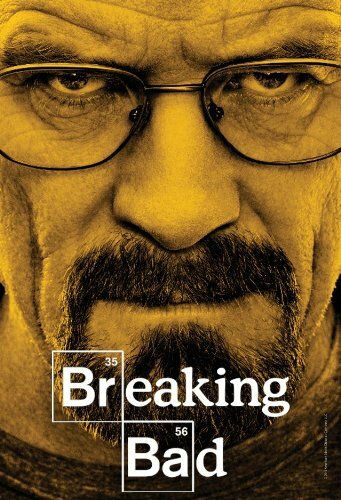 I'm more convinced than ever that Sky's going to be getting a taste of that ricin Walt stashed in the electric socket before this final season is through. Absolutely the most hilarious, yet serious, scene of the series. Hope you're watching Talking Bad. We had a bowl of green beans with slivered almonds as a set piece tonight. It was choice! That Chris Hardwick is a genius!